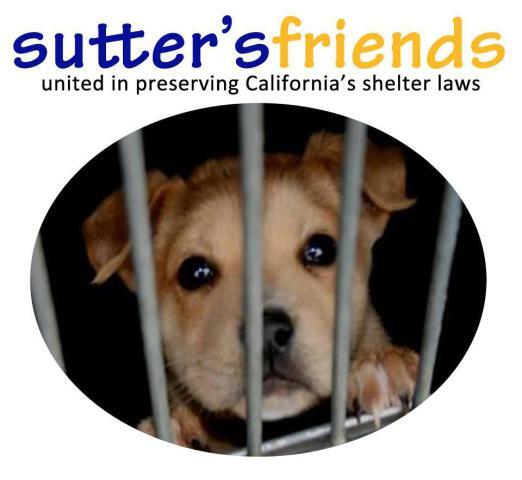 A world-wide community grew on Sutter's Friends' Facebook page, once it was announced in January that California Governor Jerry Brown would sign a bill, if passed by state representatives, that would undo the current state law protecting shelter pets. The current law provides that shelters keep lost pets for at least 6 days before euthanization. The bill up for a vote would not only reduce the waiting time to 3 days, but limit that protection to dogs and cats only. In other words, a found pet of any other species could be euthanized immediately. Though the California State Assembly voted unanimously on March 15, 2012 to leave the law in place, the State Senate still has to vote on the issue. The scheduled vote is April 11, 2012. For more information and phone numbers of state assembly members, visit this page at Sutter's Friends. also read: Will Jerry Brown Be Known As 'The Dog Killer' Governor?